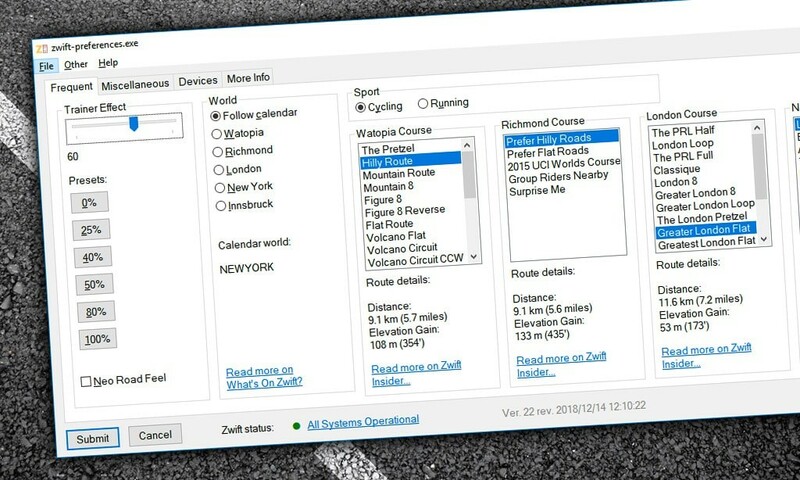 You can customize your Zwift experience by adjusting the settings in-game but there are some additional things you can do by changing prefs.xml–the configuration file. 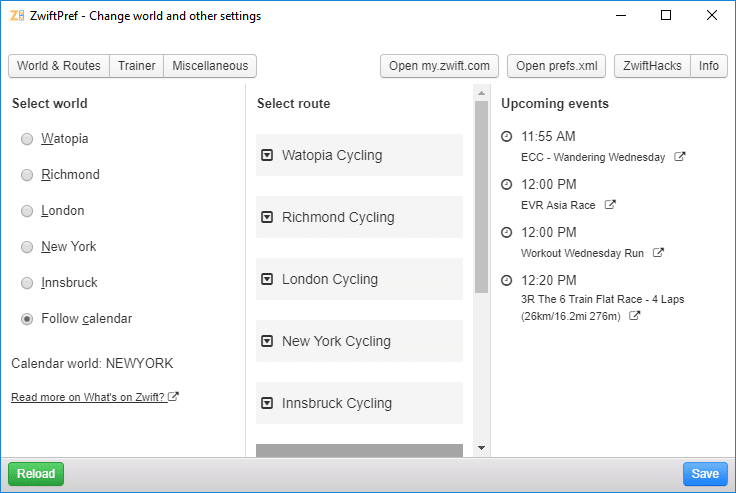 ZwiftHacks has created several scripts for Zwift users, and one of the most downloaded and used is zwift-preferences for Windows computers. This script lets you set trainer difficulty effect, choose which world and course to ride, toggle Neo road feel, and set a variety of other preferences. A very similar tool but for Zwifters with macOS computers is ZwiftPref. The benefit of both ZwiftPref and zwift-preferences is that they make it easy and safe to make changes to prefs.xml. You could write the same changes manually but why run the risk of messing up the file in a text editor when you could just toggle an option and click on a button? 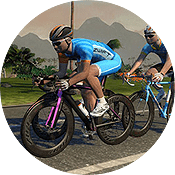 Get zwift-preferences here – I highly recommend downloading the compiled version at the bottom of the page if you’re looking for a quick and easy install. Once installed, just launch ‘zwift-preferences executable’ from the Windows Start menu or the shortcut on your Desktop. There is a typo in your link to zwift-preferences. HAHAHAHH! Yeah, David Sack is right about the typo in the link. There is a dash instead of a dot (super easy to spot) so I just put the dot in its place and got the link to open. 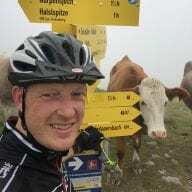 Super easy fix so GET TO IT ZWIFT INSIDER!! This tool no longer works now that the “Guest” feature has been implemented in Zwift. The comment from Matt is not correct. Both zwift-preferences and ZwiftPref still work, basically allowing you to replace Watopia as one of the worlds presented in the ‘Ride’ screen. The other world will be the Guest world of the day.